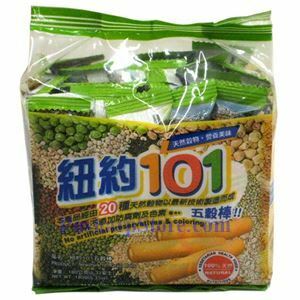 This snack rolls are made from 20 grains and is 100% natural vegetarian food. It's delicious and healthy as well. 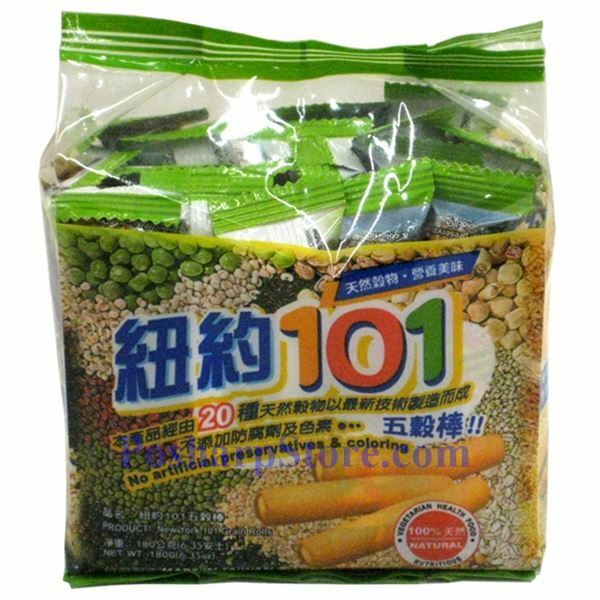 Ingredients: Brown Rice, Husked Lotus, Pearl Barley, Buck Wheat, Oatmeal, Barley, Millet, Glutinous Rice, Soya Beans, Haricot Beans, Pea, Small Red Beans, Mung Beans, Speckled Kidney Beans, Black Soy Beans, Black Glutinous Rice, Corn, Sesame, Pine Nut, Walnut Kernel, Egg Powder, Palm Oil, Sugar, Soy Sauce Powder (Soybeans, Wheat, Salt, Sugar), Malt Powder.